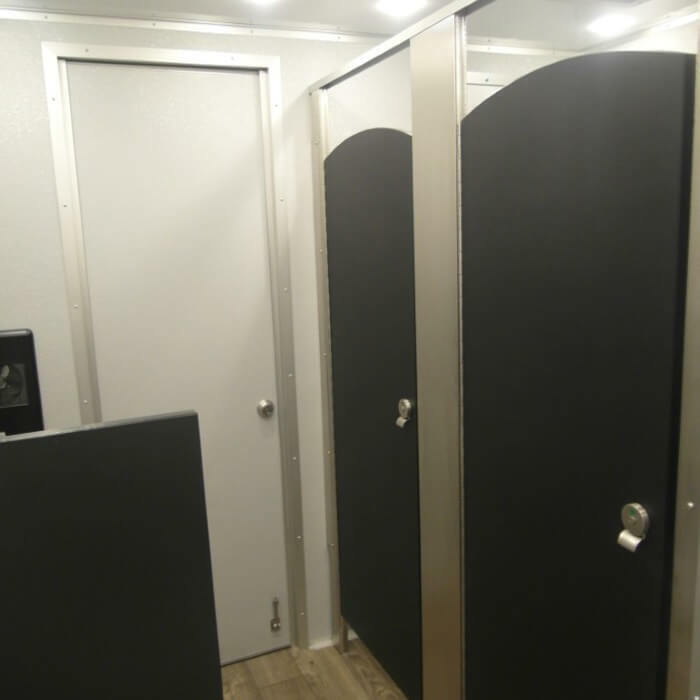 The 28’ Flex restroom trailer from Moon Portable Restrooms was built for maximum high-traffic use. 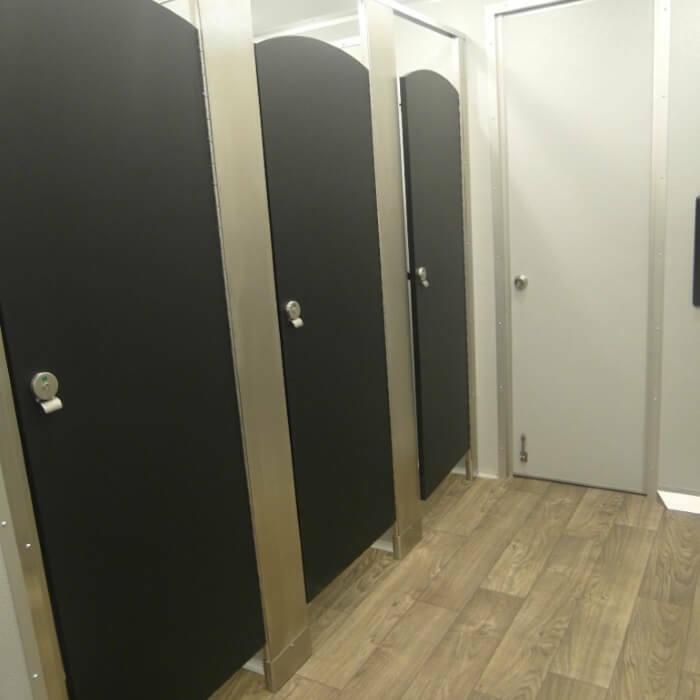 With 7 stalls, the 28’ Flex is incredibly practical for large scale outdoor events. 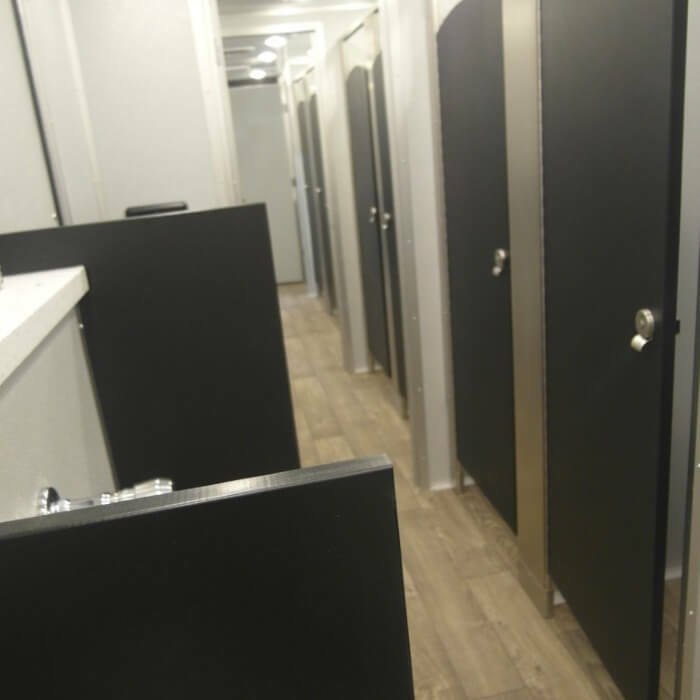 This restroom trailer features three stalls and two sinks on the women’s side and two stalls, two sinks, and two urinals on the men’s. 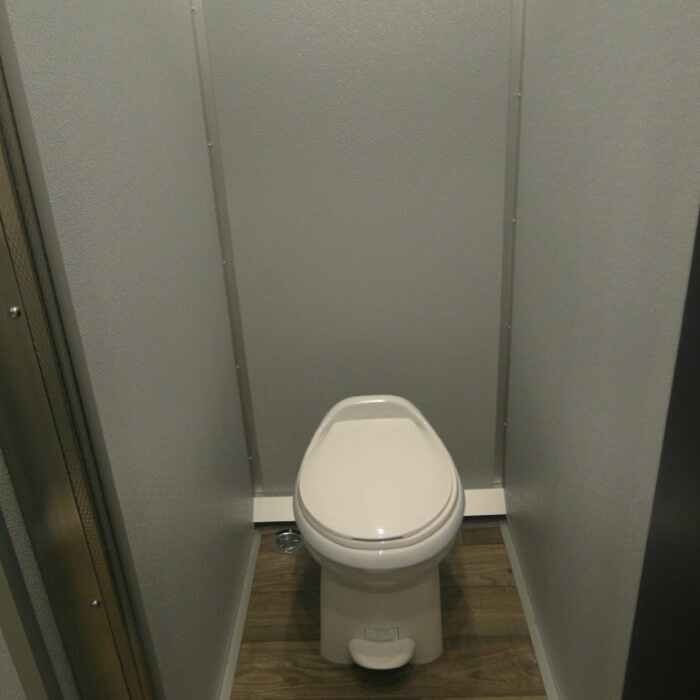 Additionally, there are two “flex” stalls that can be adjusted to enlarge either side of the trailer by way of a lockable partition wall. 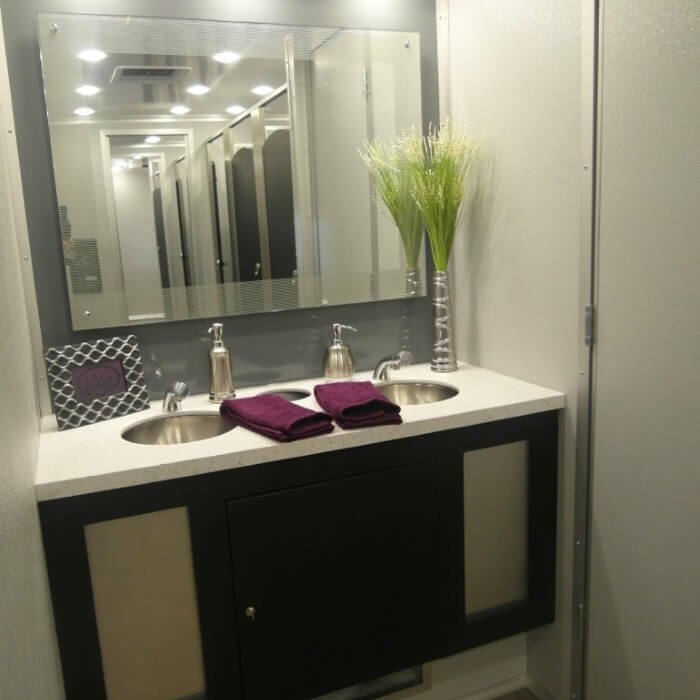 The 28’ Flex restroom trailer is the only restroom trailer available that you can customize for your event and needs. 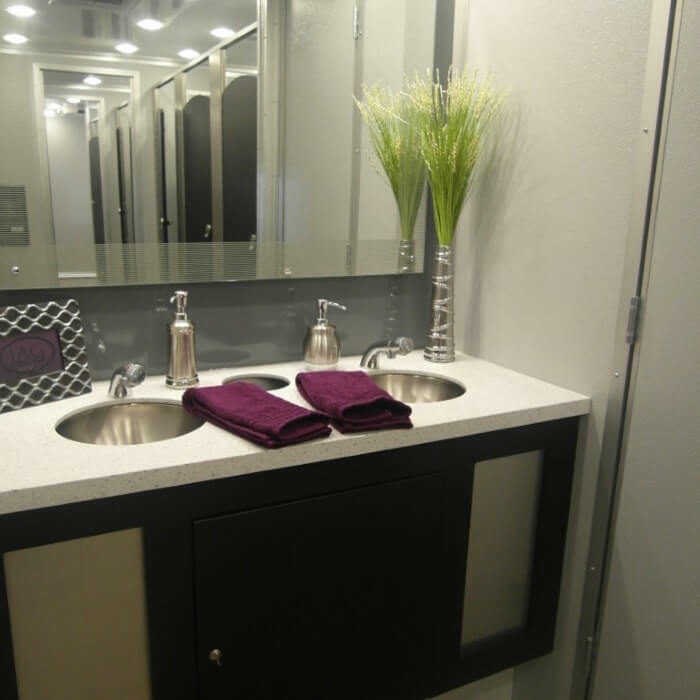 The interior features porcelain toilets and sinks as well as custom etched mirrors on both sides. 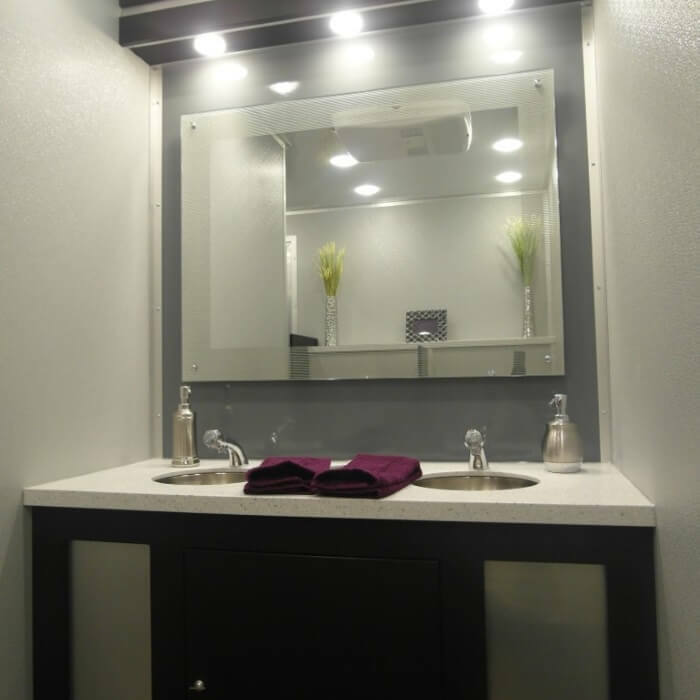 With LED porch lights, the 28’ Flex restroom trailer can be utilized at night as well as during the day – making this trailer an even better rental opportunity. 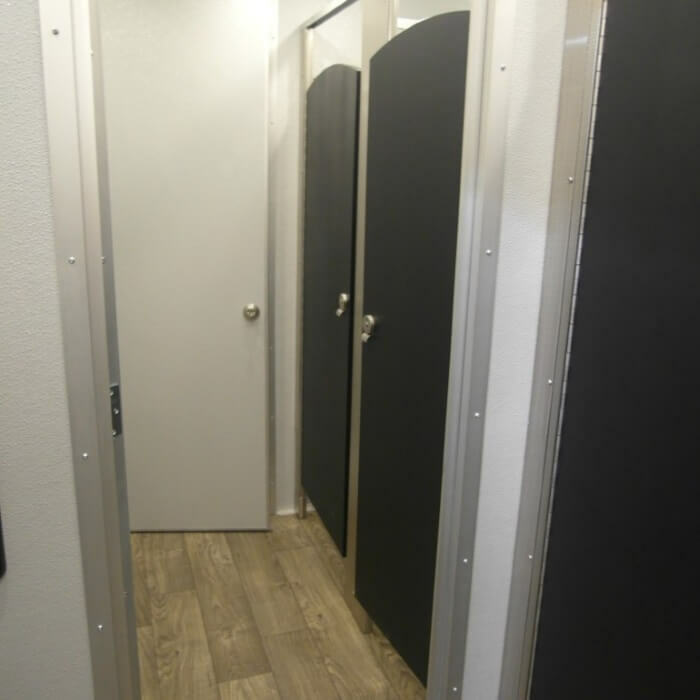 The 28’ Flex restroom trailer is air-conditioned and heated which allows guests to be comfortable in the summer months as well as the winter months. 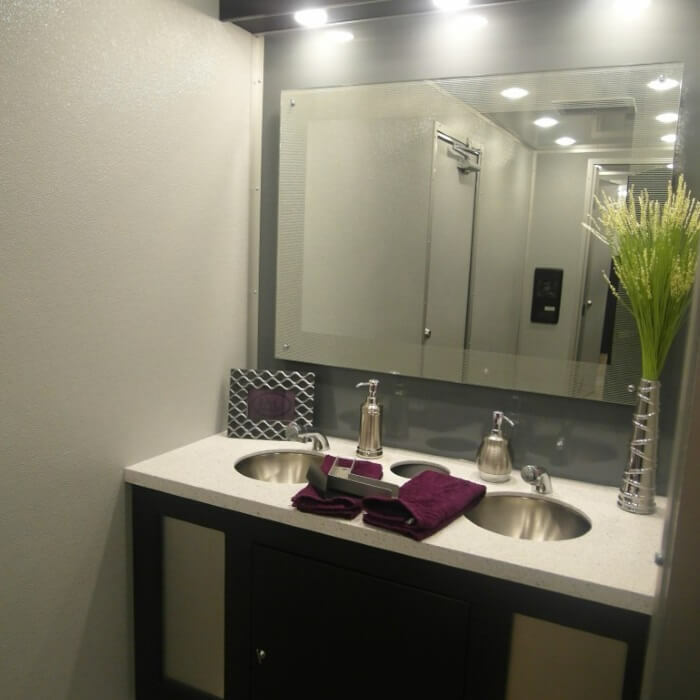 With a 300 gallon on-board fresh water tank and 1,000 gallon waste tank – the 28’ Flex can be rented and easily maintained for a day, a week, or longer. 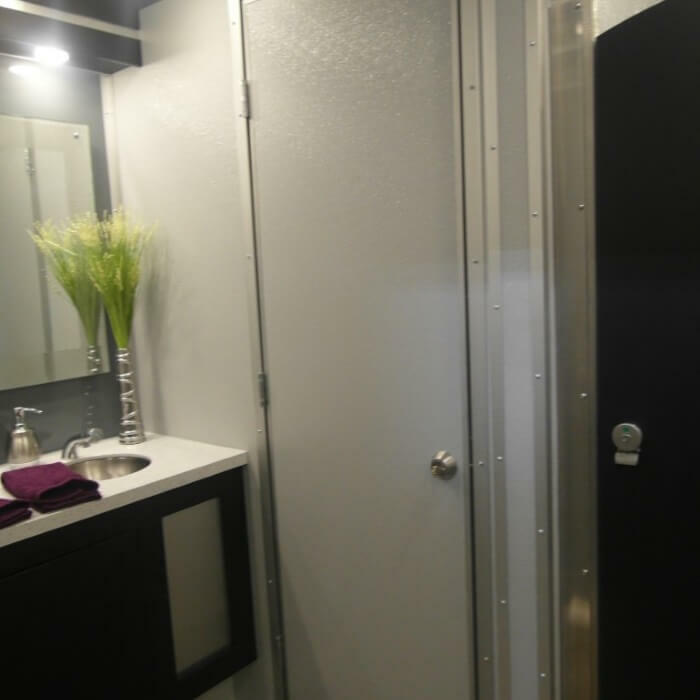 Featuring non-skid flooring and faucets that automatically start and stop, the 28’ Flex restroom trailer is safe and eco-friendly. 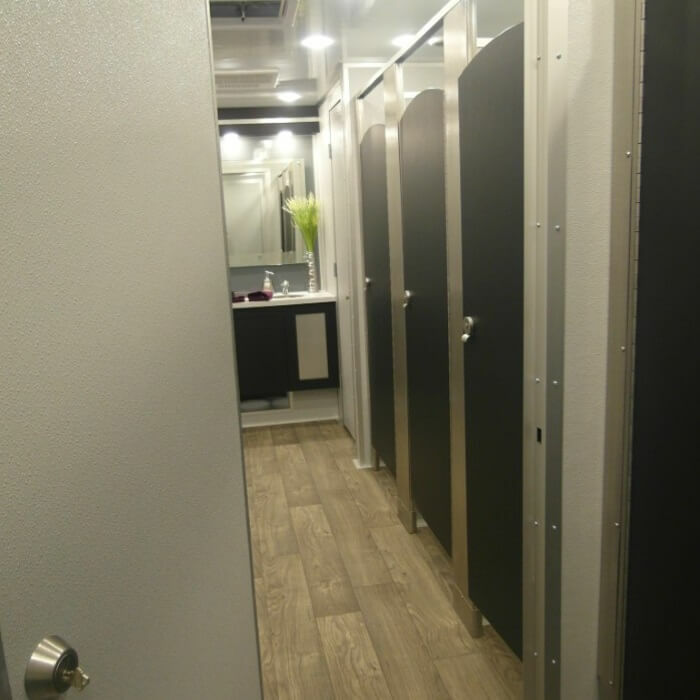 Before renting the 28’ Flex restroom trailer from Moon Portable Restrooms, you will need a 12’ x 36’ area that is clear of trees and on level ground. 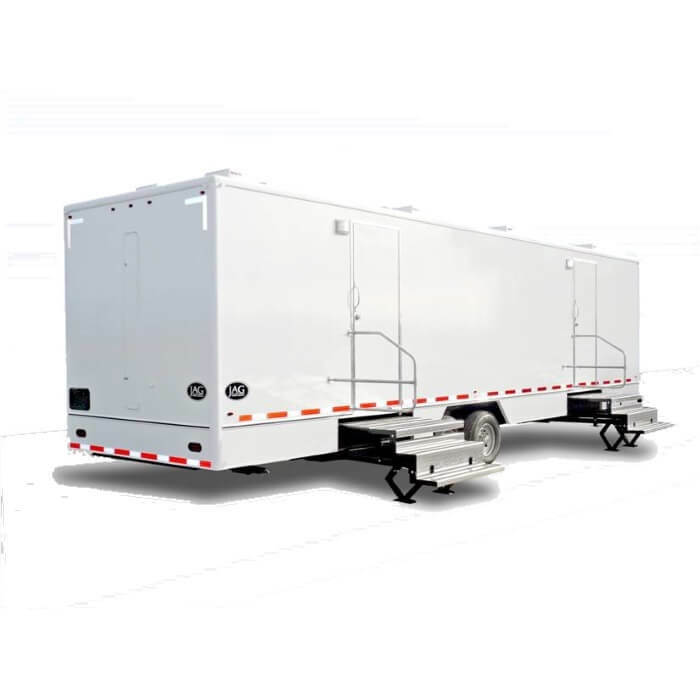 3 dedicated 110 watt / 20 amp circuits, and a water source within 50’ of the trailer. 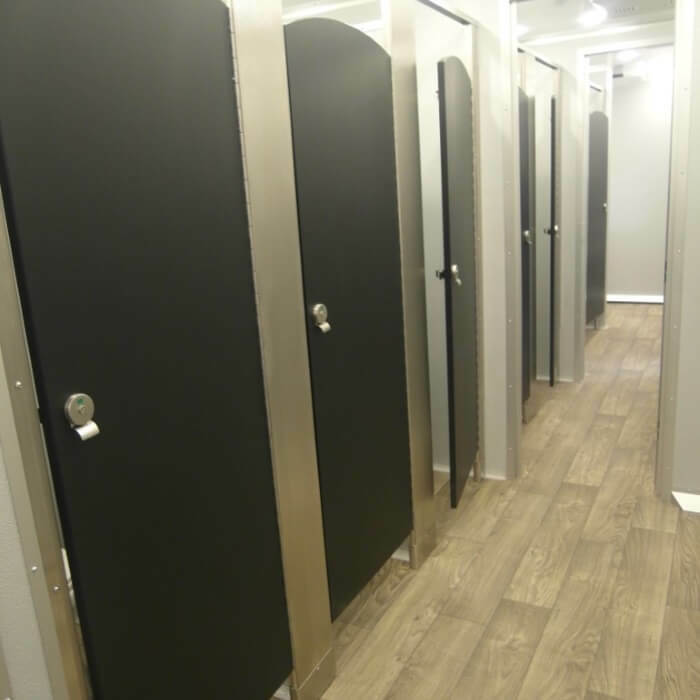 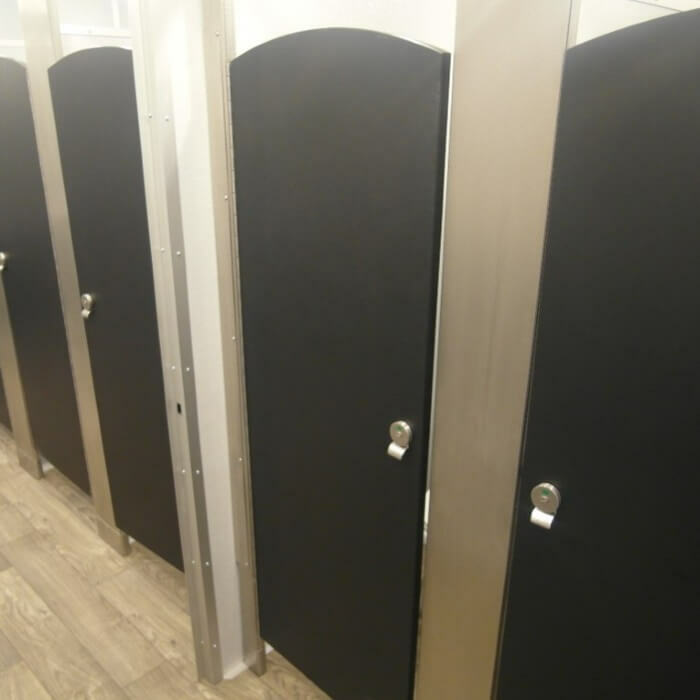 Contact Moon Portable Restrooms today to get a free quote and get any questions you may have answered by one of our customer service representatives. 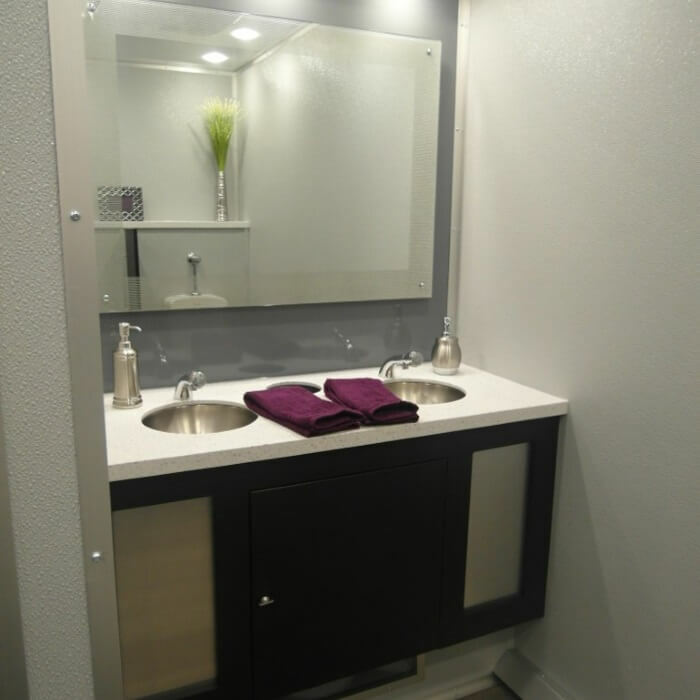 You can contact us by calling 502-776-2199 today!